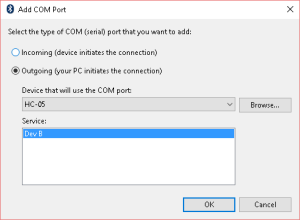 I dont get a COM port once I add the service as outgoing – any ideas as to why? I have the same problem. 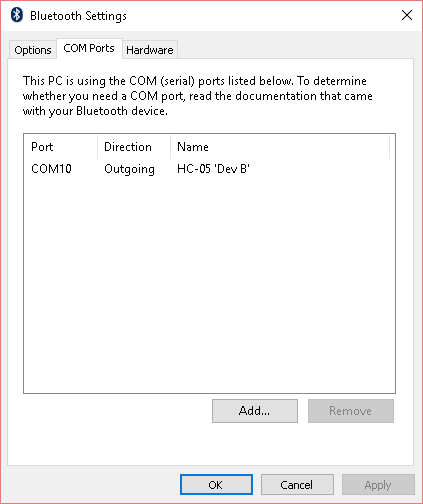 The bluetooth module doesn’t actually show up as an available device if I want to add it as a port. 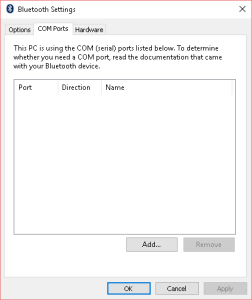 Is there a setup step I’m missing? Having trouble finding any information anywhere. I just tried these steps again and didn’t have a problem. 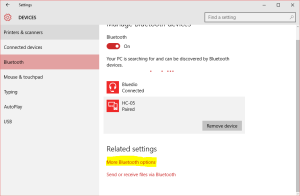 On my computer all the bluetooth devices I have ever connected to show up in the add port section, even if they are not currently connected. 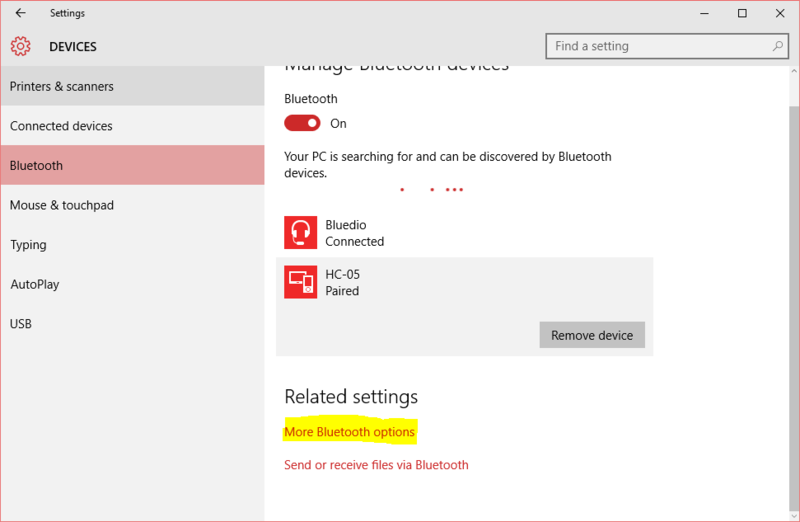 So the only thing I can think of is that the device didn’t get paired with the computer first. Reinstall your bluetooth driver on your computer. Now I need some mapping software to go with it. Settings are ok, comport is available, 1 incoming, 1 outgoing for the HC-05. 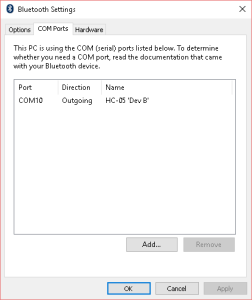 But I can not get the Arduino Board Info or send sketches to the Arduino Board. 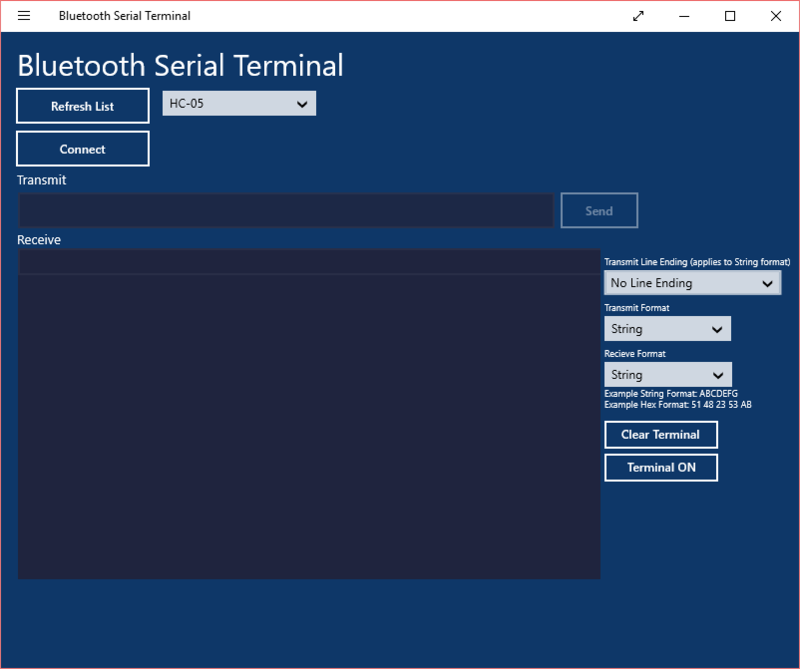 How can I verify if I did all correct? 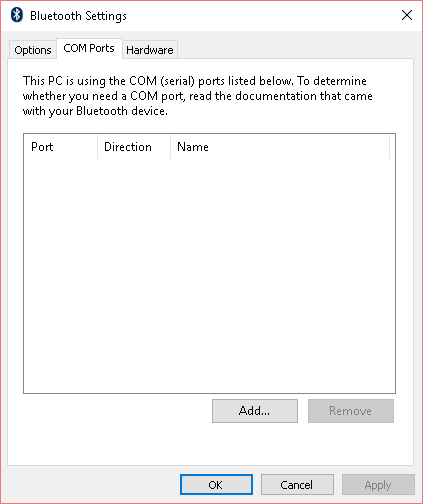 I can add only an incoming port (the first option) but next to it the bluetooth device name doesn’t show up.. even when i go to control panel>devices and choose the properties of my device, under services it should be showing a COM port.. but in Win 10 it shows nothing (I also tried it in another pc with win7 and it showed “GATT server”.. I don’t know if this rings a bell ) does anyone know why? ?